Early morning car accidents where no other vehicle is involved can lead investigators and Massachusetts personal injury attorneys to suspect that either the driver was intoxicated or there was a defect in the road. Rollovers typically happen when a vehicle encounters a scenario that it is not manufactured to withstand. Therefore, a road defect or condition coupled with improper manufacturing can lead the injured driver to a possible personal injury lawsuit against the company and the state. Modern vehicles continue to be manufactured with better safety equipment, including tires, steering and other features to prevent a rollover. 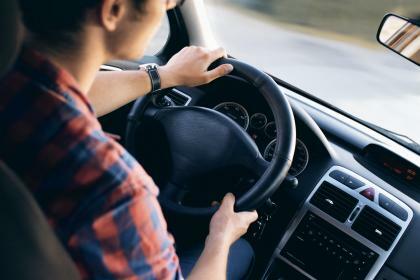 This is something that a personal injury attorney can use – the past performance of a manufacturers vehicles – to determine if the present vehicle and victim may also suffer from defective engineering. Typically rollover accidents occur with cars like the Ford Explorer or the Chevy Tahoe, sport utility vehicles. It is possible to survive a rollover accident, especially when wearing a seatbelt. Victims involved in a rollover accident should seek the help of a Massachusetts personal injury attorney to help them decide whether a case should be filed if a third-party is at fault. If you have been injured in a rollover accident, call the Law Offices of Jeffrey S. Glassman at (617) 367-2900 to schedule a consultation and tell us your story.